Membership of Samyo is open to students trained in Indian Classical music between the ages of 12 and 18, permanently resident in the UK. Sabrang is open to vocalists between the ages of 14 and 25. Ensemble members are selected on the basis of talent and potential. Instrumentalists over the age of 18 will be considered for one of Milapfest’s three ensembles, based on your audition and training with us. SAMYO MANAGEMENT PROGRAMME: (19 and over) Young adults have the opportunity to take on trainee apprenticeship roles in Orchestra leadership, in Management, Leadership/Conducting, Communication , Educaton, Recruitment and Promotion. 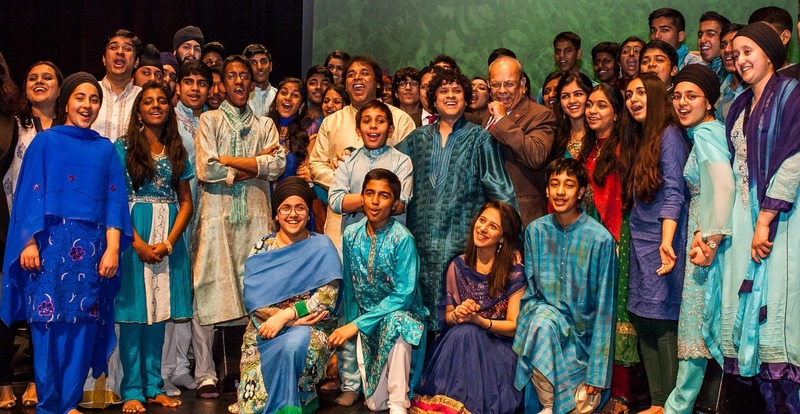 TARANG TRAINEES: (18-25) For young musicians who would like to train, perform and develop at an advanced level and progress from SAMYO to TARANG, this ensemble offers opportunities to perform and learn with all of Milapfest’s ensembles. TARANG (18-35) For young musicians exploring a career in Indian music, TARANG offers unparalleled performance opportunities, advanced professional development, and touring, festival and training programmes to progress. If your application is successful at the first stage, you will be invited to audition at one of the official auditions for 2019. Auditions will be held between 15th – 26th April 2019 (not including Bank Holidays). Membership of one of Milapfest’s Ensembles gives you a host of other benefits, including the opportunity to attend other concerts of interest and a place at the Music India Summer School. Your application form determines whether you are invited to auditions. Samyo membership is awarded by audition. You will be assessed on potential and not just on current achievements. Applications should be supported by your music teacher or tutor, so we require their signature or email too. With your application, please also enclose an audio sample of between 6 or 8 minutes in length, on any format, by email or post. Find out about what to expect at Audition here.